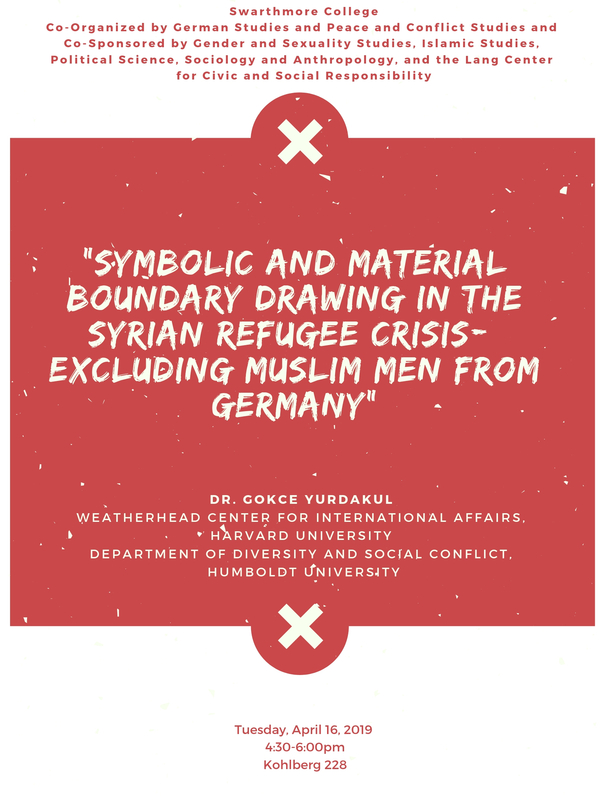 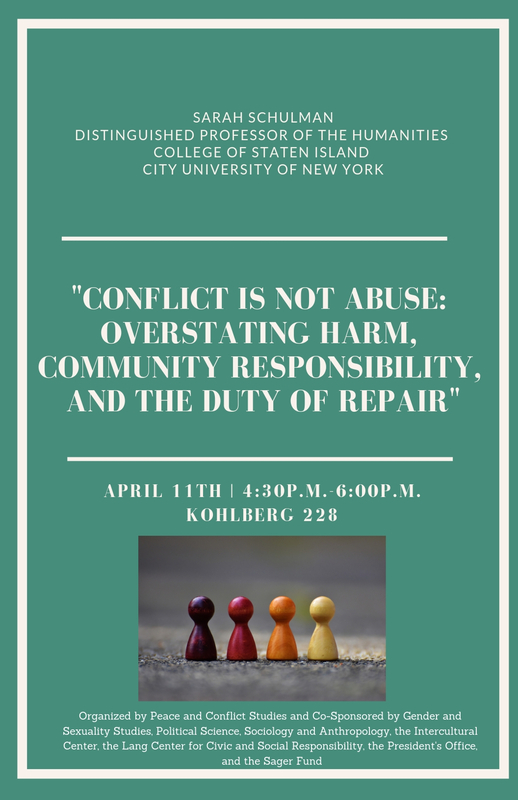 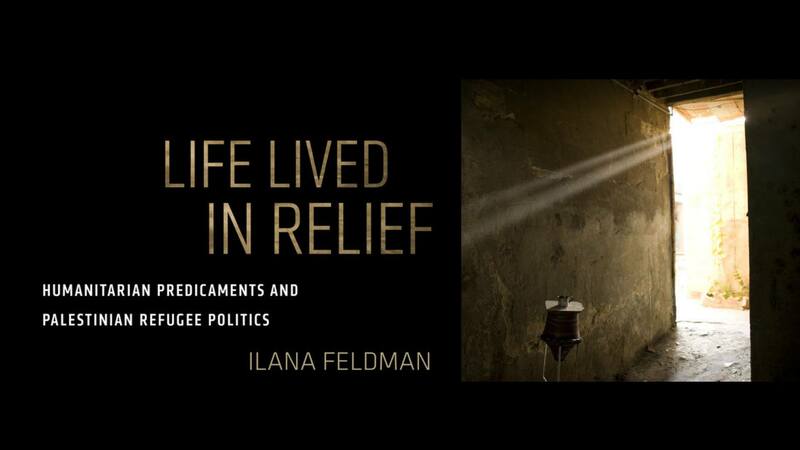 We have an amazing lecture coming up! 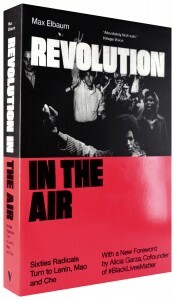 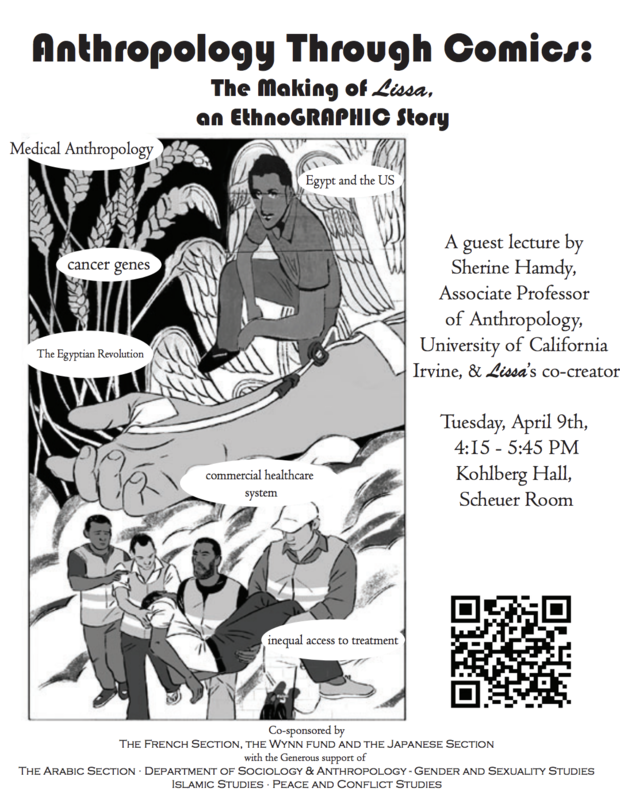 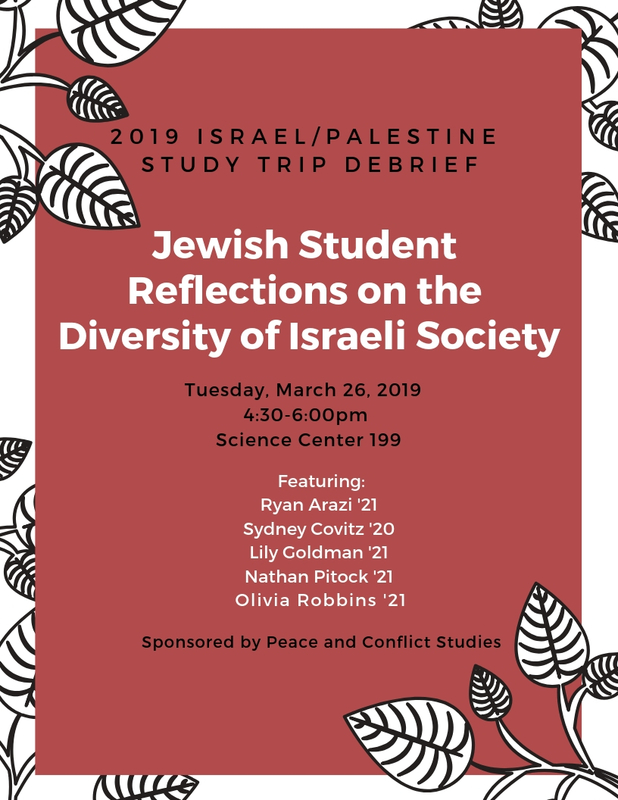 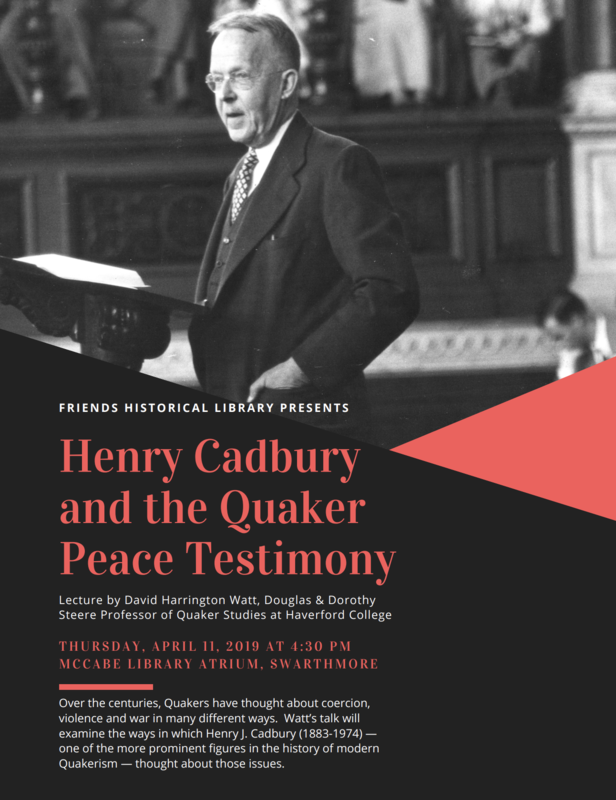 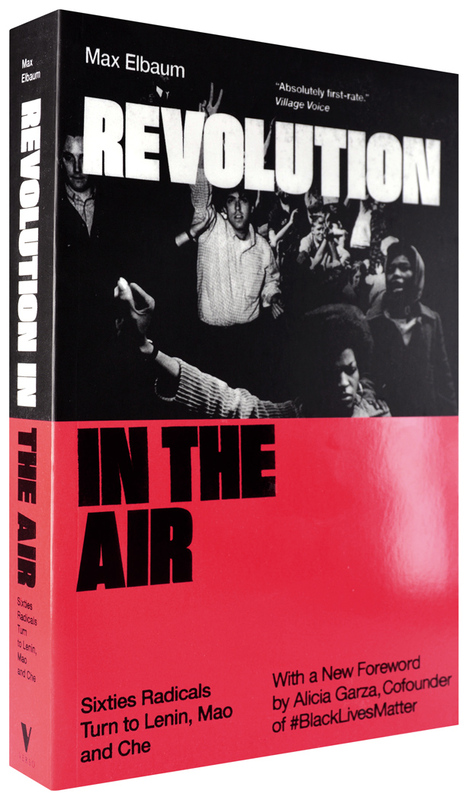 We excited to announce this event coming next week to Swarthmore! 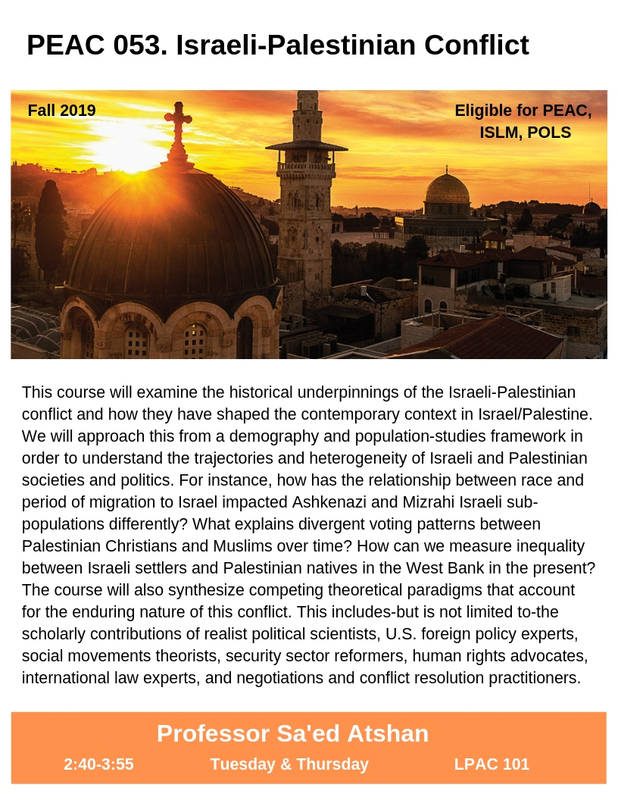 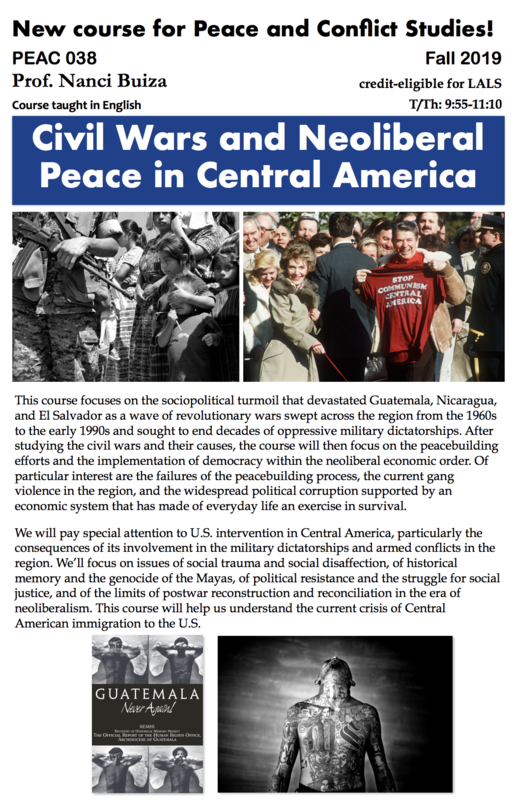 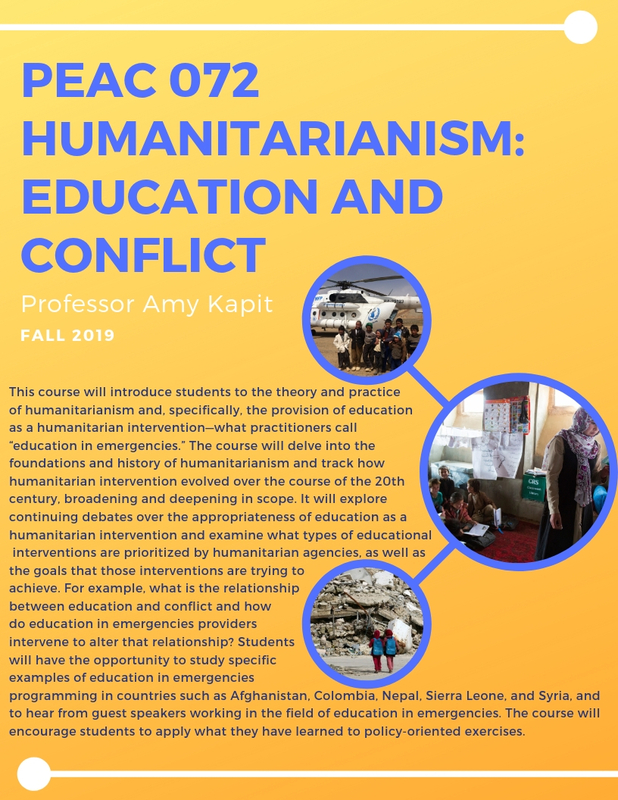 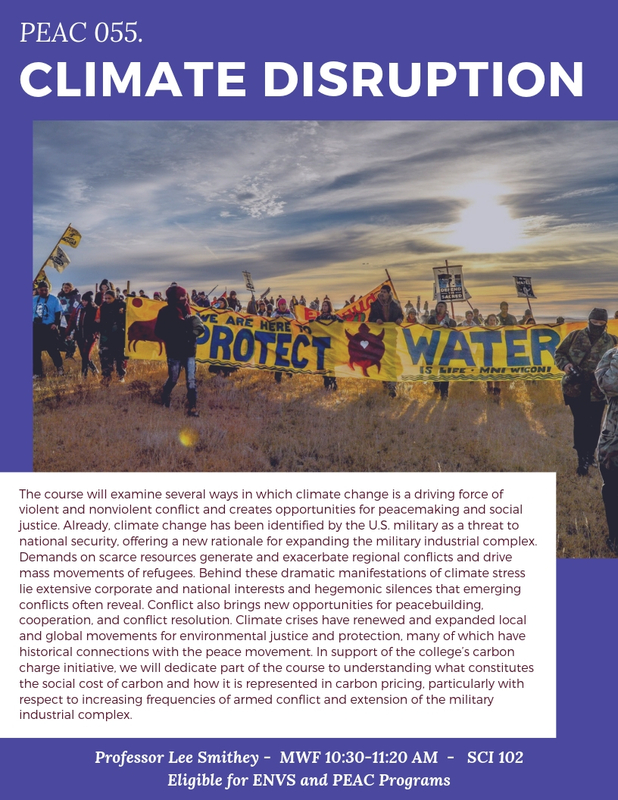 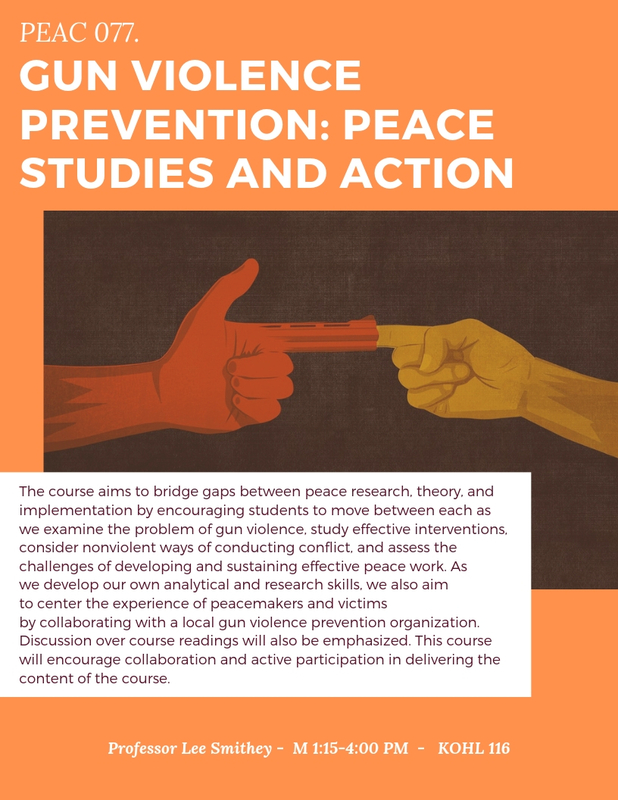 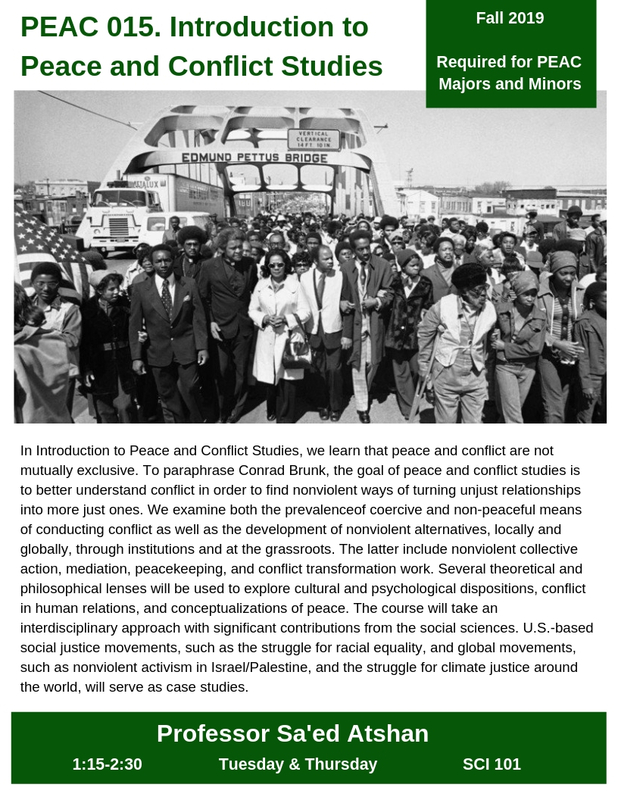 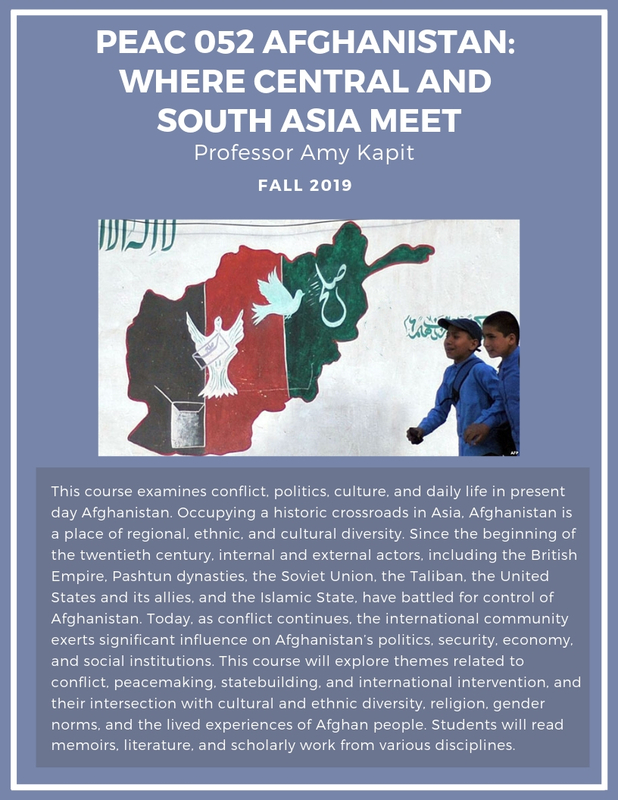 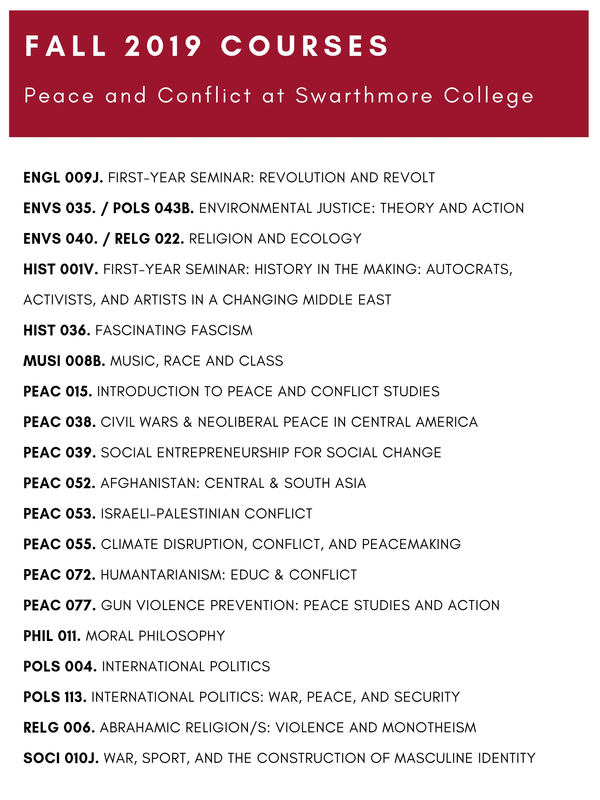 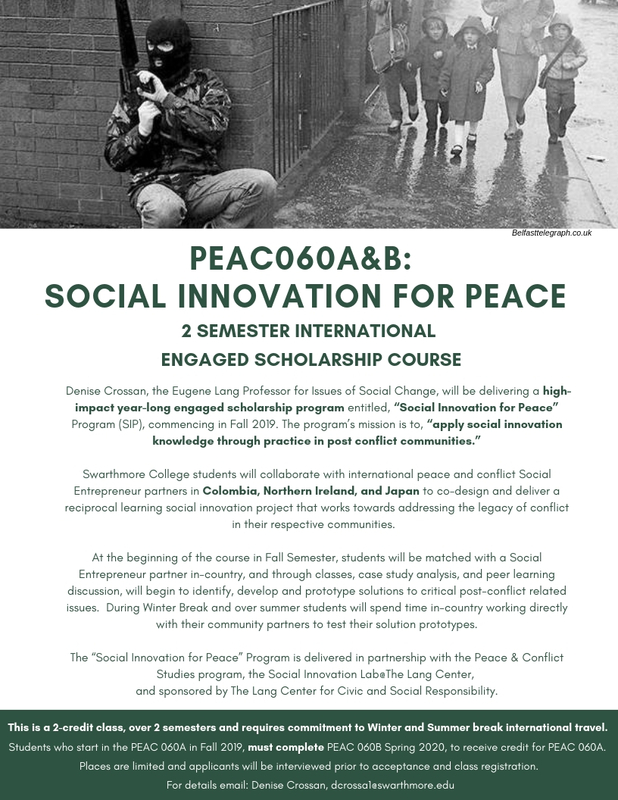 Check out the Fall 2019 Peace and Conflict Courses – including new classes from our new Professor Amy Kapit, from Prof. Nanci Buiza, and from Prof. Denise Crossan!